CPI designs and manufactures linear position sensors capable of continuous operation in high temperature, high vibration, and underwater environments. 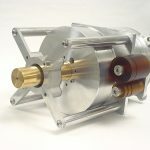 Our technology is a sophisticated reinvention of traditional draw wire or “string pot” sensors that originally pioneered draw wire linear position sensing. Our draw wire sensor updates this technology while removing all the failings common to simple potentiometer or encoder – based sensors. Our Sensor uses an LVDT in a patented linear to rotary to linear configuration and as such is a completely non-contacting position sensor. Our “string” is a robust braided stainless steel cable coupled with a spooling system that is ultra-rugged, responsive, and extremely accurate. Our sensor provides absolute position measurement; does not require homing at startup. 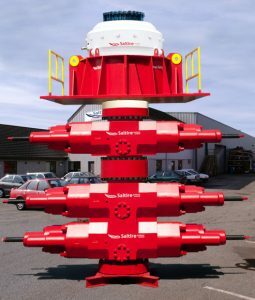 The core mechanism is completely vented, completely submersible and can be deployed in subsea equipment, for example in undersea mining and oil exploration applications. 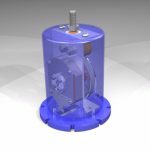 Our product can be used for charge sensing in hydraulic accumulators providing accurate piston position measurement for indication of leakage, without creating a hole through the piston. All of CPI’s linear position sensors are designed for harsh duty. 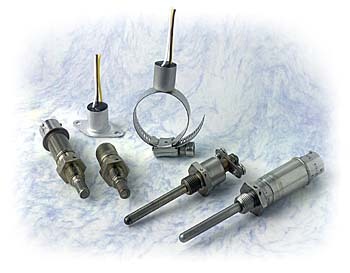 These products below are examples of some of our rugged sensors. 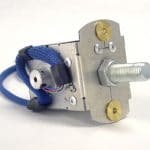 These sensors can be configured for use as external draw wire sensors. They are also appropriate for both hydraulic cylinder and hydraulic accumulator applications. 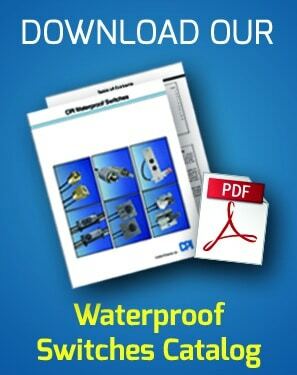 Versions are also available for operation in water, sea water, process fluids, gray water, and certain other corrosive fluids – please contact the factory to discuss your application. Intrinsic safety certifications are pending. CPI sensors are a subset of a class of sensors historically referred to as draw-wire or “string-pot” sensors, however they have been updated to bear little resemblance to this ancestry. In CPI’s completely new approach to this sensor class, a stainless steel cable and translating spool system is coupled to a Linear Variable Displacement Transducer (LVDT) to achieve highly accurate displacement measurements in environments where this was not possible. 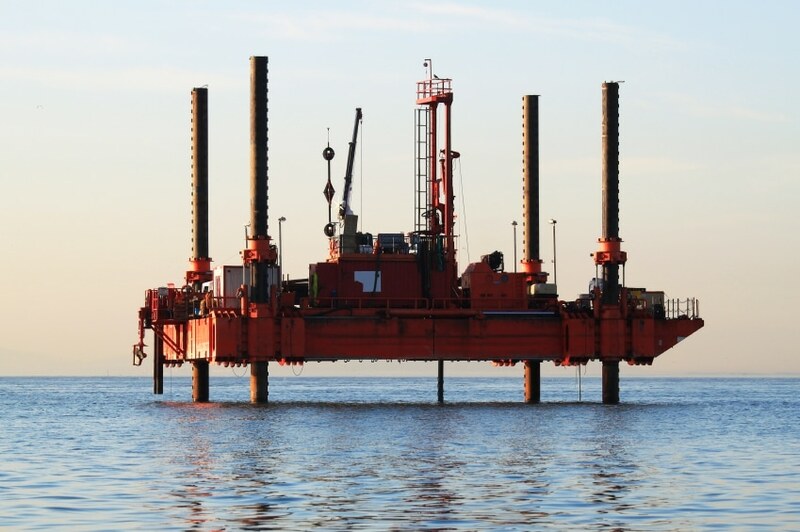 Salt spray, submersion, high temperatures, hydraulic cylinders* and accumulators, and subsea installations are environmental challenges met by our sensors. 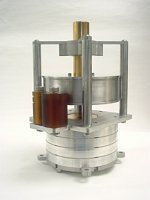 Our LVDT based Linear Position Sensors find applications everywhere from the robust high temperature environment of a steel mill cauldron control, to the corrosive undersea world of oil exploration; not to mention everywhere in between where harsh environments and maximum durability and reliability are a concern. 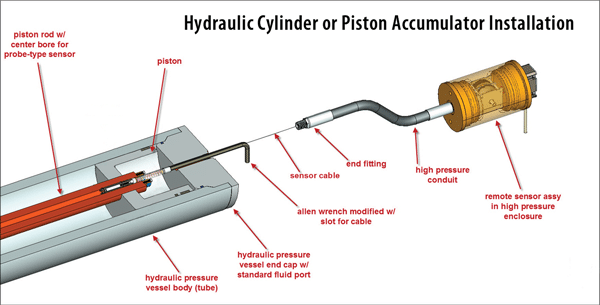 Charge Sensing in Hydraulic Accumulators – Sensing pre-charge pressing in hydraulic accumulators is a challenge for other sensor types that invade the cylinder and require seals that wear out over time. CPI Linear Position Sensors can be easily deployed on the oil side or gas of the piston accumulator, require no associated dynamic seals and operate robustly to 10,000 psi. Smart Hydraulic Cylinders – So called “smart cylinders” encapsulate their position sensing solutions inside (or outside) the cylinder. 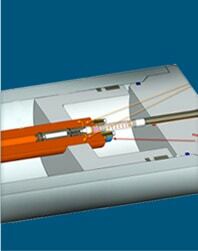 CPI sensors are the most easily installed internal sensors in the world – NO GUN DRILING REQUIRED. And their ability to remote locate the sensor and signal conditioning electronics accommodates any local design constraints. Telescoping Hydraulic Cylinders – CPI is the only linear position sensor that can operate completely inside telescoping cylinders. Subsea Hydraulics – Our SL-1500 series sensors are a first choice for serious subsea applications due to their ability to operate completely submersed in almost any kind of liquid. Long Stroke Hydraulic Cylinders – For long stroke cylinders, rod-type sensors become increasingly problematic. The CPI 1500 is a robust platform configured to accurately sense position over a 15 meter stroke length. Valve Control –Harsh environments, particularly high temperatures presented in refinery applications for example are where traditional draw wire sensors cannot survive. Please Contact Our Sales Engineering Team for More Information at (973) 887-9400.